What is a succulent’s true beauty? 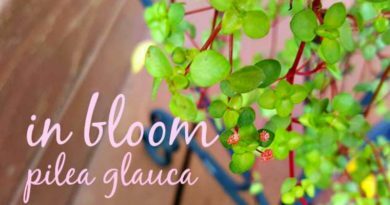 I believe that the secret to the appeal of succulents and sedum is the color transitions which occur constantly. 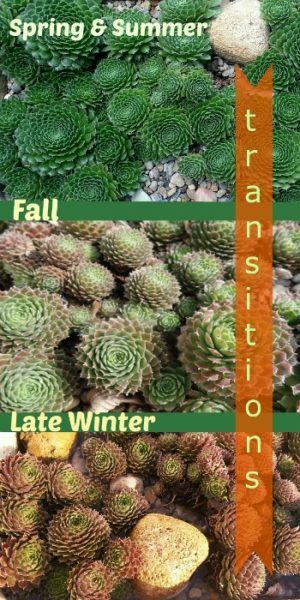 With a succulent, it is always changing colors throughout the seasons of the year. If you have a beautiful succulent, it can become even more beautiful with the natural stresses that occur. 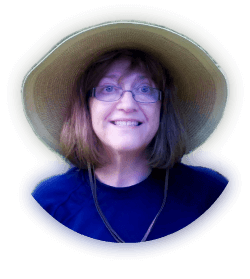 By natural stresses, I mean the fluctuations in the temperature and the available moisture during any growing season. Cooler temperatures bring out the intense colors of some of the plants such as bringing out deep purple edges to the leaves, or in some instances, color changes affecting the whole leaf. I have a variety of sempervivum which I think is Sempervivum “Green Wheel” although I am not sure of this. I have watched it all year and it is the best behaved of all of my semps. It is planted in a shallow trough but this seems to suit it just fine. I believe that is why it has stayed very tight and crowded together all year. If I had known that I would be making a graphic for comparison, I would have had the foresight to make all my photos at the same angle and same view. But hindsight is 20/20, and I believe you can still see the changes anyway. I will be pulling some pups or chicks off next spring to propagate. 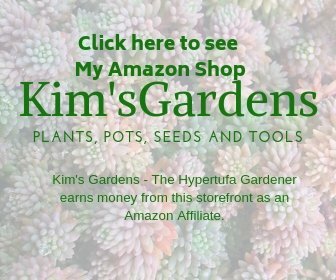 This one is a good grower and seems to not be finicky. 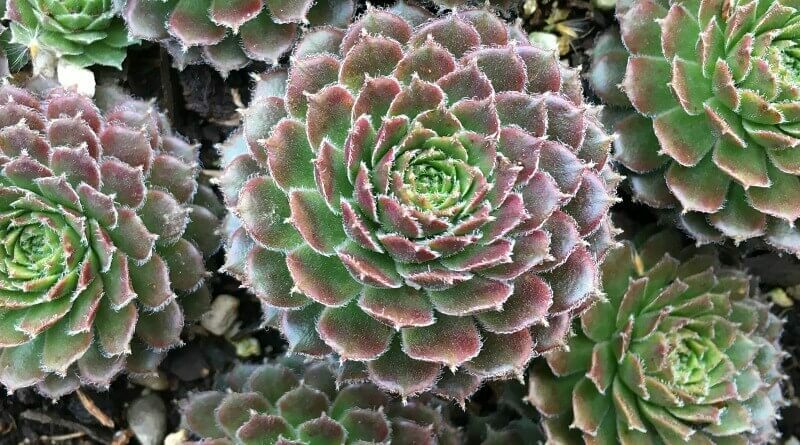 It is a hardy sempervivum and has been out all during the year in full sun, and this last picture in the graphic above was taken in January. We had an unusually warm day, almost 50°, so the snow had melted off the trough and ice was over the surface. You may be able to see it in the very bottom of that graphic. This small hypertufa pot or trough still has the snow lying in it, gradually melting but still ice is forming around the base and roots of the Sedum rubrotinctum “Jelly Beans.” But the color is really nice adding a rosy glow to this garden planter. 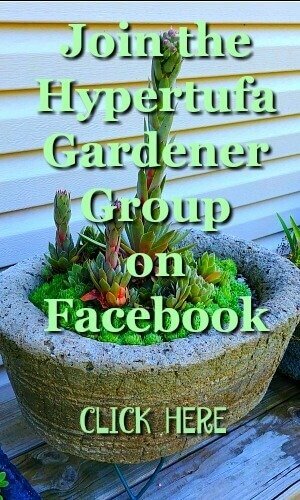 I have had a lot of success with this variety, so I will be potting up more starts in the spring. Can’t wait. This other sempervivum is a “soboliferum” variety. 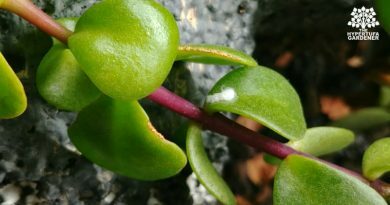 It is very tiny but I like the tight ball it grows into along with the tiny hairs along the edges of the leaves. Looks really pretty in a morning mist or dew. And yes, that is netting you are seeing. I have the large trough wrapped in bird netting to keep out the squirrels and chipmunks. And it is working! See that post here. How are your color transitions in your garden today? I love to check them over until the snow starts covering them up. I will need to find some woolly worms for another prediction of the winter. Wishing for spring already! And we are not even into winter season yet! ← Seriously, Does This Mushroom Taste Like Chicken? 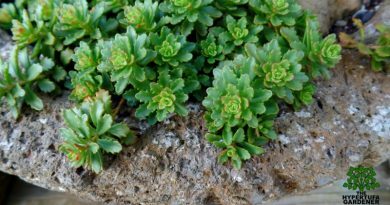 Sedum spurium Immergrunchen – Is It The Perfect Ground Cover Sedum?